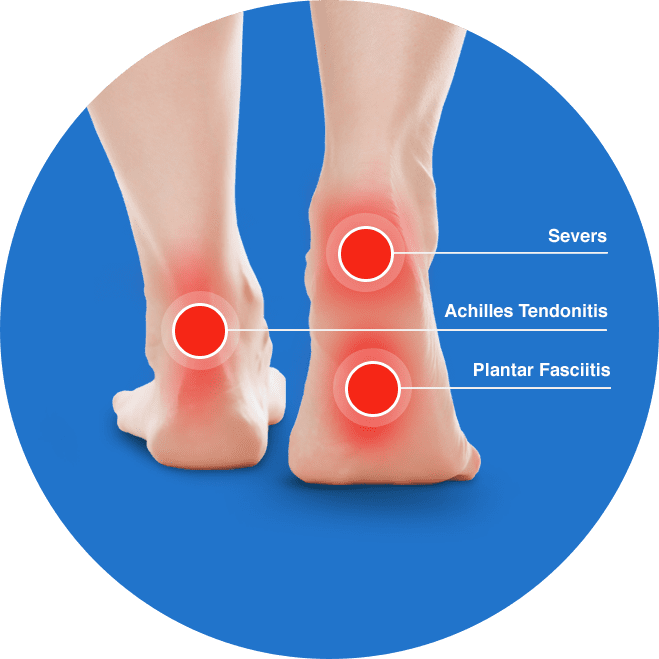 For many years Heel spurs have been misdiagnosed as the cause of the severe pain in the heel. Upon x-ray, practitioners observed a spur-like growth of bone at the point where the plantar fascial ligament inserts to the heel – this can be clearly seen in the x-ray below. It was therefore wrongfully concluded that such an obvious growth must be the cause of the pain. Unfortunately this misdiagnosis resulted in many years of ineffective treatment (and still available today) with patients unable to find a cure that offered any long-term relief. Spurs are nature’s way of making a connection to torn or inflamed soft tissue. They are created by pain, but not a part of the pain. The ractual pain is the pulling and tearing of the micro fibres of the soft tissue at its insertion point at the heel. The ensuing growth of bone or “heel spur” is merely the body’s attempt to stop pain. For more information or to book a consultation phone us on 1300 855 853 or Enquire Online. We currently consult in North Sydney, Sydney CBD, Parramatta and Brisbane.